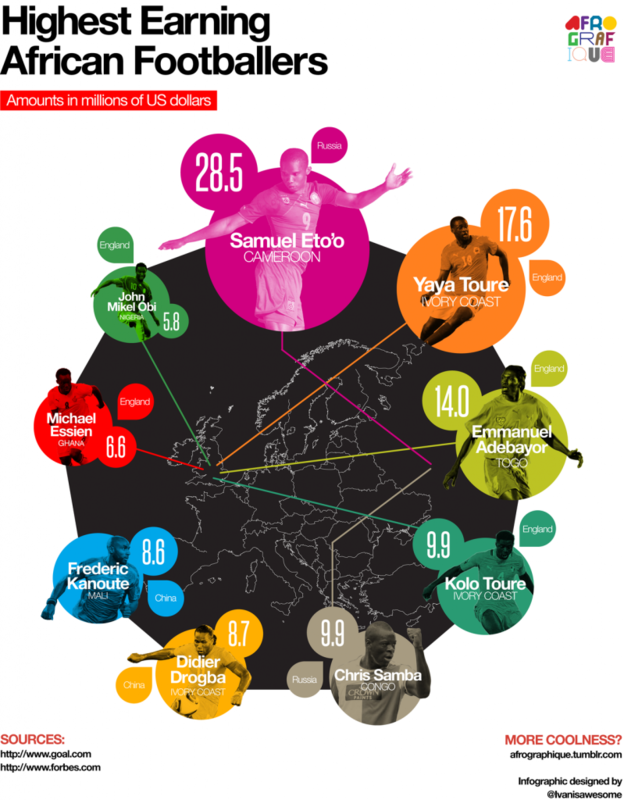 European clubs are home to the highest paid players. They also send the majority of players to participate in the Africa Cup of Nations. Though teams like Zambia who back domestic sides have proofed to be succesfull, the game is still ruled by the power of money – a fact demonstrated by the marginal recognition the continent’s biggest sports event is paid. By recruiting most of their national sides with players from domestic clubs, Ethiopia, South Africa, Sudan, Angola, the DRC, Tunisia and Morocco are notable exceptions among the majority of participants at the Africa Cup of Nations whose teams are mostly drawn together from all over Europe. Resorting to home-based players is not always an imperative necessity owing to a lack of alternatives as the selection for Nigeria’s national side shows. Coach Stephen Keshi made some hard and controversial exclusions to accommodate men from domestic teams like Enugu Rangers, Sunshine Stars, Warri Warriors or Kano Pillars. This unexpected move saw players like internationally established Peter Odemwingie of West Bromwich Albion left out. Keshi justified his decision as he blamed Odemwingie to lack loyalty towards Nigerias’ Super Eagles. Also Ghana’s Black Stars dropped their midfield star Andre Ayew, of Olympique Marseille, accused of acting the prima donna. Instead, coach Akwasi Appiah has entrusted the leadership of the team to Asamoah Gyan who preferred Abu Dhabi side Al Ain to lucrative offers from Europe. Zambia, with a squad containing only one player employed in a leading European league, defeated the international ensemble of Ivory Coast in the finals of last year’s Africa Cup of Nations. Also Egypt’s serial triumphs were achieved around a solid spine of players from Al Ahly, a national stronghold and the dominant club on the African continent over the last decade. Whether this faith in local leagues could reverse the long-term trend of professional emigration among African football players remains to be seen, though. It’s a popular misconception that internationally backed sides were unable to work in a team. Neither could you say that managers who try to form a team of individually skilled players are myopic to realise the ingredients for long-lasting success. The real challenge is that as long as Africa’s domestic leagues remain poised to serve as training grounds for the big clubs with the Africa Cup of Nations being a hardly noticed side event in the international sports calendar, the money to be earned in Europe will set the tone.